Spotted mice enjoy the fresh air and solitude of long hikes in the countryside, and because they never stay in one place for long, they are rather unsure of themselves when it comes to making friends. These mice are ideal targets for beginning MouseHunters because, while they are fairly smart and physically fit, they lack the teamwork skills that other mice use to stay out of trouble. The Spotted Mouse is attracted only to Standard Cheese. In the Harbour location, the Spotted Mouse is not attracted to White Cheddar Cheese. In the Meadow location, the Spotted Mouse is not attracted to Grilled Cheese. No Charms are required to attract the Spotted Mouse. The Spotted Mouse drops Marble Cheese and Satchels of Gold (worth 500 gold) in the [[Windmill] location. 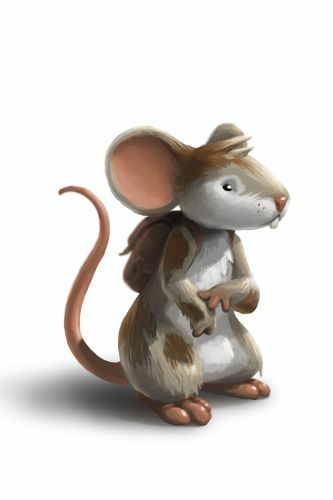 The Spotted Mouse is not known to drop any loot in the Harbour or King's Arms locations. Attraction info and special event loot drops for the Spotted Mouse can be found at the individual event location pages. 13 July 2010 : The Spotted Mouse was introduced. 25 June 2013: The Spotted Mouse gained a vulnerability to Law power type traps with the release of Varmint Valley. 25 March 2014: The Spotted Mouse gained a vulnerability to Rift power type traps with the introduction of the Rift Plane. 25 March 2014: The Supernatural Mouse was introduced as the Rift counterpart of the Spotted Mouse. This page was last edited on 14 February 2018, at 05:07.